The Vampire The Masquerade, 20th Anniversary Edition character sheet by Matt Zaldivar makes use of player filled text boxes for Disciplines and Backgrounds. These show up as generic Discipline1, Discipline2, etc. attributes when used, making it difficult to pull their values for macros and other functionality. This script solves the issue by creating named attributes for this missing information and keeping them consistent with what players are filling out on the sheet proper. Ensure your campaign is using the Vampire: The Masquerade 20th Anniversary Edition character sheet created by Matt Zaldivar, or a custom sheet that contains the same attributes. Its code can be found here. 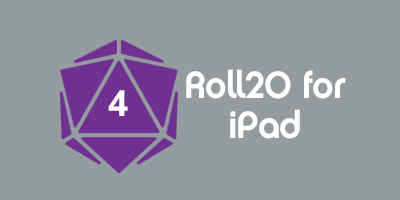 Once you are using the correct character sheet, copying the script's code, pasting it into a new script in your campaign's API Script Editor, and saving your changes is enough to get things up and running. You may wish to add your own Disciplines, Paths, and Backgrounds, or incorporate new ones from V20 supplements as they are released. This is as simple as adding the new attributes you want to track to the appropriate associative array in the script. Each entry's key is the name players will type on their character sheet, while the value will be the attribute's name (which you can use in macros and other scripts). Afterwards be sure to update the schemaVersion to ensure attributes are added to preexisting characters. The script will track changes to Disciplines, Paths, and Backgrounds without any need for user interaction. This page was last modified on 26 April 2017, at 22:03. This page has been accessed 2,531 times.